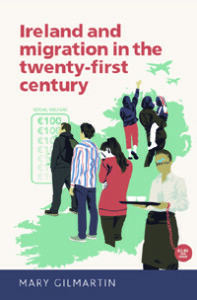 Mary Gilmartin, author of new book, Ireland and migration in the twenty-first century, joined Myles Dungan on RTÉ Radio’s The History Show earlier this month, to discuss how being a migrant brings its own challenges and opportunities. In her new book, Mary provides a new and original approach to understanding contemporary Irish migration and immigration, showing that they are processes that need to be understood together rather than separately. She uses a wide range of data – from statistical reports to in-depth qualitative studies – to show these connections. Category: Irish Studies, Politics	3 Comments.